ATLANTA (Aug. 29, 2017) – On Saturday Sept. 30, 2017, presidents from universities in Liberia will unite with presidents from universities in the U.S. to focus on global health and education. The University Consortium for Liberia(UCL) will host its Third Annual United for Liberia Fundraising Gala with Dr. Ophelia Weeks, University of Liberia (UL) president; Dr. Joseph Isaac, African Methodist Episcopal University president who also serves as president of The Association of Liberian Universities; Dr. Emmet Dennis, president emeritus, University of Liberia; Dr. Cheryl Dozier, Savannah State University president and other institutional partners at Morehouse School of Medicine. 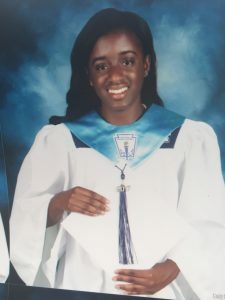 “The UCL provides a wonderful opportunity for Liberian students to come to America to further their studies and for U.S. students and faculty to visit Liberiaon Study Abroad, Service Learning and Faculty Exchanges. The UCL and UL are great partners helping to bring brighter futures through education and understanding. The gala will help raise funds in support of these efforts,” Weeks said. At the age of 12, I became fascinated with skin care and skin care products. Therefore, I am studying biology in order to learn more about the skin and to prepare me for a career as a dermatologist. 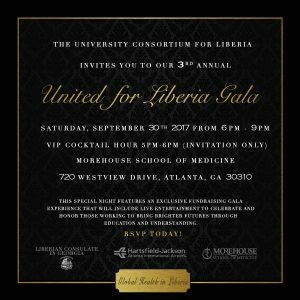 YOU ARE OFFICIALLY INVITED TO THE 2017 UNITED FOR LIBERIA: GLOBAL HEALTH FUNDRAISING GALA! Blandford and the UCL Board of Directors have selected five Liberian students to receive the 2017 UCL academic scholarship. Each student will receive $1,000 towards their education. Clark Atlanta University PhD candidates Varbah Sorsor (Chemistry) and Randolph Glee (Social Work); John Marshall Law School student Joshua Kulah; University of Georgia undergraduate Sedia Beysolow; and Savannah State University Master’s in Public Administration candidate Dickson Goffa will receive their scholarship awards that evening. In addition to scholarships, the UCL will present their 2017 Distinguished and Community Service awards. Distinguished Service Awards will be given to three partners including Dr. Brenda Fitzgerald, Director, The Centers for Disease Control (CDC) for their CDC Liberia Initiative; Emory University President Claire Sterk for the new Institute for Public Health Liberia; and Dr. Tolbert Nyenswah, Director General of the Institute for Public Health in Liberia. Mr. William Allen, Founder of The Allen Entrepreneurial Institute, will receive the 2017 Community Service Award for outstanding leadership in support of the Experiential Learning Summer program for Liberian students last year. This year’s sponsors include the Morehouse School of Medicine, Hartsfield-Jackson Atlanta International Airport and the Liberian Consulate in Georgia with opportunities for additional sponsorship still open. As always, a VIP reception will precede the dinner, a special speaker will host the evening, silent auctions will take place and several VIP guests will attend. 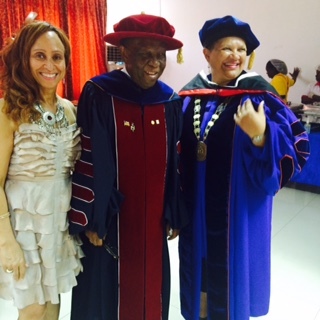 Special guests include Dr. Ophelia Weeks, newly appointed President of the University of Liberia (UL); President Emeritus of UL Dr. Emmet Dennis; Dr. Cheryl Dozier, President, Savannah State University; Dr. Joseph Isaac, AME University President and others. All 21 UCL Institutional Partners will also be invited to attend. The UCL and its board members invite the community to join them for an entertaining evening of culture and elegance. “We’ve decided to make this year’s theme about global health in Liberia. Liberia was once known as the West African hub for medicine and research. While we focus on education, it’s time to revisit Liberia’s medical sector, and to help strengthen medical tourism in West Africa,” Blandford said. Purchase tickets at ucliberia.com/events/ or on Eventbrite . Contact the UCL office at 404-590-1655 or cblandford@ucliberia.com for more information or sponsorship opportunities. For more information on the UCL, please visit our website at www.UCLiberia.com. It’s that time again. 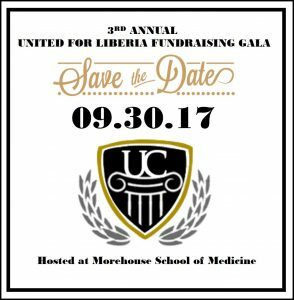 Our third annual United for Liberia Gala is fast approaching. This year, we are focusing on Global Health. UCL will honor Distinguished and Community Service awardees and award the 2017 UCL Scholars. We will also highlight Liberia’s health sector and continue to raise funds for education. Join us for a night of elegance and culture. Please, Save the Date. As we prepare for this year’s United for Liberia fundraising gala, let’s take a look at last year’s University Consortium for Liberia Distinguished Service Awardees. UCL Higher Education Scholarship Winners Announced! 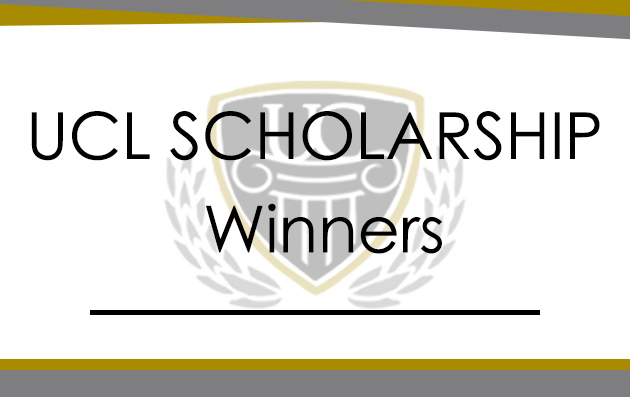 The University Consortium for Liberia is delighted to announce the winners of the 2017 UCL Higher Education Scholarships chosen by the UCL Scholarship Committee. Congratulations to all winners and best wishes to everyone who applied! Bier Haus is not simply an enjoyable port due to the fact that it consists of numerous unique icons with fantastic opportunities. Bush sign exists by 3 kegs with beer. The feature of bush token in this online video game is to change all various other icons and also to supplement the winning series. It could execute its feature if it leaves on the ideal setting. It should be stated that bush could replacement for perk icons. Canadian gamers as well as various other casino players will certainly additionally value the Function and also the Gold Function provided by just one sign: an attractive blonde with beer cups. These 2 icons release complimentary rotates video games. Throughout totally free rotates the wagers are bet by the gambling establishment as opposed to a gamer. Bush signs which quit throughout totally free video games hold their settings till completion of the reward rounds – read the review to play Bier Haus slot. There are icons for any kind of preference in this WMS’s one-armed bandit. Every one of them are properly designed as well as are positive to look. You could win from $0.05 approximately $5.00, depending upon the number as well as sort of signs on the win line. You could discover signs of beer, woman, accordion and also card matches. Take pleasure in Bier Haus one-armed bandit for enjoyable, or play totally free WMS gambling establishment ports online without any download or enrollment. Gamers that want to play ports genuine loan will certainly such as the assessed video clip port though it does not offer the betting attribute like other on-line gambling establishment video games. At the very same time, it offers a gamer with intriguing unique icons which in some cases provide the gamers huge jackpots. Bier Haus online port by WMS online casino software application designer develops the environment of Octoberfest. The style of this 5-reel port is about beer, stunning women and also banquets. Delight in pleasant songs as well as specify functions, like Wild and also Scatter, which will not allow you obtain tired. WMS pc gaming company generally utilizes popular motifs in their preferred video clip ports. Just recently the significant video games’ manufacturer has actually determined to dedicate their gaming item to the beer tale. This video clip port is referred to as Bier Haus vending machine video game. The video game display has 5 reels and also 40 not dealt with pay lines. The video game supplies a gamer with unique signs, cost-free rotates, and also other fascinating attributes. Like lots of complimentary video clip port video games, the play ground of Bier Haus has appealing layout and also graphics. The gamers will certainly rejoice to understand that the video game RTP is 96% of the bet wagers. Most of WMS complimentary online ports video games consist of the listing of icons representing the style of the video game. On the display of the examined video clip port a gamer could see a cup of beer, a barrel of beer, acorns, a guy with beer, a photo of the city and also face-values of playing cards. Like with various other Canadian gambling establishments, the winning mixes in the worried port are created starting from the initial left reel. Additionally, aside from icons with normal payments, Bier Haus gambling enterprise port has Wild as well as Attribute signs, which cause benefit functions. Wild card alternatives to any type of sign on the display, other than Attribute as well as Gold Function. If Wild belongs of numerous pay lines, it picks the one with the greatest win. 3 or even more Attribute icons release complimentary rotates round. There are several stuck Wilds throughout totally free rotates setting, which raises your possibilities for an excellent win. The regulations are a breeze. Simply push the Spin switch as well as win cash as a result of winning mixes. All success are paid from delegated right. Bier Haus video clip port has 40 energetic pay lines, however you could transform their number to earn the video game much more tough. You have a chance to specify your complete wager by differing the wager each line with controls on the control panel. Bear in mind, the greater is your wager, the larger is your win. The UCL Scholarship Committee would like to thank each student who has already applied for the 2017 UCL Higher Education Scholarship. 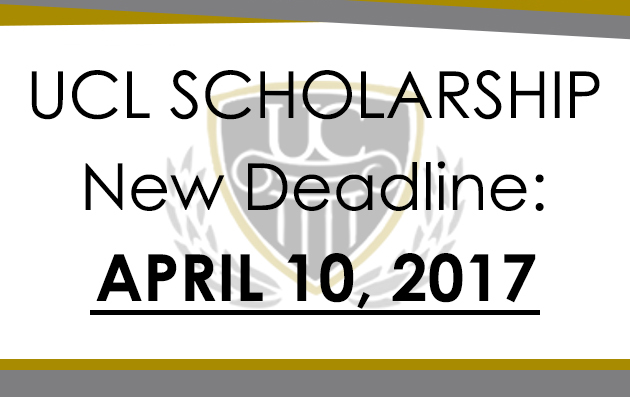 We have decided to extend the deadline to April 10, 2017 to assure that as many students as possible get the opportunity to submit their application. Thanks again and we look forward to reading all of your submissions. Canadian gamers as well as various other casino players will certainly additionally value the Attribute as well as the Gold Function offered by just one icon: an attractive blonde with beer cups. These 2 icons release cost-free rotates video games. Throughout totally free rotates the wagers arebet by the gambling establishment as opposed to a gamer. Bush signs which quit throughout cost-free video games hold their settings till completion of the reward rounds. WMS video gaming service provider typically makes use of renowned motifs in their prominent video clip ports. Just recently the noteworthy video games’ manufacturer has actually made a decision to commit their gaming item to the beer tale. This video clip port is called Bier Haus one-armed bandit video game. The video game display has 5 reels as well as 40 not repaired pay lines. The video game offers a gamer with unique signs, complimentary rotates, and also other fascinating attributes. Like several complimentary video clip port video games, the play ground of Bier Haus has eye-catching layout as well as graphics. The gamers will certainly rejoice to recognize that the video game RTP is 96% of the laid wagers. Most of WMS cost-free online ports video games have the checklist of icons representing the style of the video game. On the display of theevaluated video clip port a gamer could see a cup of beer, a barrel of beer, acorns, a male with beer, a photo of the city as well as face-values of playing cards. Like with various other Canadian gambling enterprises, the winning mixes in the worried port are developed starting from the initial left reel. The regulations are a breeze. Simply push the Spin switch as well as win cash as a result of winning mixes. All success are paid from delegated right. Bier Haus video clip port has 40 energetic pay lines, yet you could alter their number to earn the video game a lot more difficult. You have achance to specify your complete wager by differing the wager each line with controls on the control panel. Keep in mind, the greater is your wager, the larger is your win. There are signs for any kind of preference in this WMS’s vending machine. All them are properly designed as well as are positive to look. You couldwin from $0.05 approximately $5.00, relying on the number and also sort of icons on the win line. You could locate icons of beer, lady, accordionas well as card fits. Take pleasure in Bier Haus vending machine for enjoyable, or play cost-free WMS gambling establishment ports online at ucliberia without download or enrollment. Bier Haus is not simply an enjoyable port since it has numerous unique icons with remarkable opportunities. Bush icon exists by 3 kegs with beer. The feature of bush token in this online video game is to change all various other icons as well as to supplement the winning series. It could do its feature if it leaves on the ideal setting. It has to be claimed that bush could replacement for benefit icons – Free Bier Haus slot game Play on desktop or mobile ✓No download & Play for free or real money. Free instant play slot machine demo. Gamers that want to play ports genuine loan will certainly such as the assessed video clip port though it does not provide the betting function like other on-line gambling establishment video games. At the exact same time, it offers a gamer with intriguing unique signs which occasionally provide the gamers large payouts. Bier Haus online port by WMS casino site software application programmer develops the ambience of Octoberfest. The style of this 5-reel port is everything about beer, lovely ladies as well as banquets. Delight in joyful songs and also mention functions, like Wild and also Scatter, which will not allow you obtain tired. Additionally, besides icons with normal payments, Bier Haus gambling enterprise port has Wild and also Attribute icons, which set off reward functions. Wild card replacements for any kind of icon on the display, other than Attribute and also Gold Attribute. If Wild belongs of numerous pay lines, it picks the one with the greatest win. 3 or even more Attribute signs introduce cost-free rotates round. There are several stuck Wilds throughout cost-free rotates setting, which enhances your possibilities for an excellent win.